UPDATED: Wed., Oct. 31, 2018, 11:03 a.m.
President Donald Trump’s declaration that he wants to end the constitutional right to citizenship for babies born in the United States to noncitizens drew quick criticism from frequent legal foe Washington Attorney General Bob Ferguson. GOP leaders also distanced themselves from such election-season talk. Speaker of the House Paul Ryan said Trump does not have the authority to end birthright citizenship. And U.S. Rep. Cathy McMorris Rodgers aligned with Ryan. In a statement, Democrat Lisa Brown, who is challenging McMorris Rodgers, denounced Trump’s move. “In the wake of the attack on Jewish Americans in a place of worship, President Trump should be trying to unite us as Americans, not issuing another divisive proposal,” she said. With seven days to go before high-stakes midterm elections, the president, who made the comments to “Axios on HBO,” has focused on immigration. Seeking to energize his supporters and help Republicans keep control of Congress, he has stoked anxiety about a caravan of Central American migrants making its way to the U.S.-Mexico border. Quiroga is the managing partner of Quiroga Law Office Immigration Attorneys in Spokane. He said Trump’s proposal would just create a bigger immigration problem, including issues with equal protections under the law. Spokeswomen for both the Washington and Idaho departments of health said that they do not keep track of the number of birthright citizens. According to a report released by the Pew Research Center in 2016, approximately 275,000 babies were born to undocumented parents in 2014. This number is down from 2009, when the number was about 330,000. The center stated that itthey believed the population had stabilized. A 2010 study from the Center for Immigration Studies, a group that supports immigration restrictions, showed 30 countries offered birthright citizenship. The Pew Research Center found in a survey published two years ago that births to “unauthorized immigrants” were declining and accounted for about 1 in 3 births to foreign-born mothers in the U.S. in 2014. About 275,000 babies were born to such parents in 2014, or about 7 percent of the 4 million births in the U.S. that year, according to Pew estimates based on government data. That represented a decline from 330,000 in 2009, at the end of the recession. An excerpt of Trump’s interview was posted Tuesday on Axios’ website. The president said White House lawyers are reviewing his proposal. It’s unclear how quickly he would act, and the White House did not provide further details. 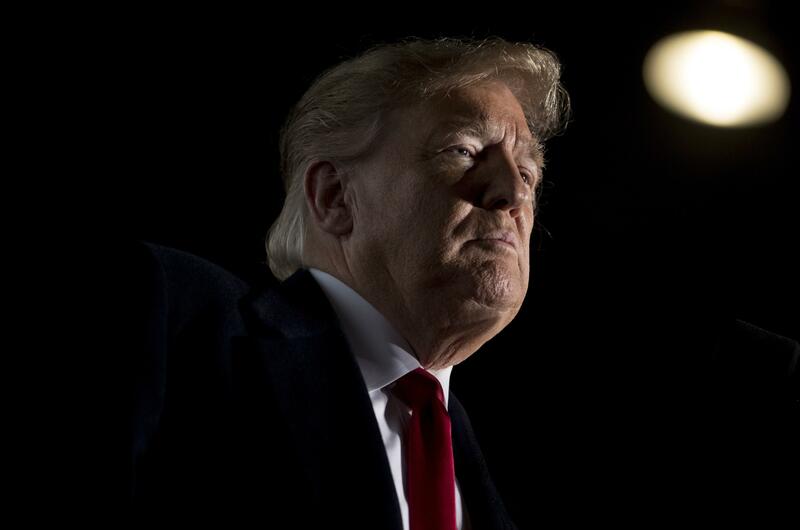 A person familiar with the internal White House debate said the topic of birthright citizenship had come up inside the West Wing at various times over at least the past year, but has some internal detractors, according to the AP. White House lawyers have debated the topic and expect to work with the Justice Department’s Office of Legal Counsel to develop a legal justification for the action. It is one of many immigration changes being discussed, including asylum law changes and barring the migrant caravan from entering the country. Trump’s administration announced Monday it was dispatching 5,200 active-duty troops to the border, and Trump said he’d set up tent cities to house asylum seekers. When asked about birthright citizenship, the Catholic bishop of Spokane said immigration is a complex issue, and he has concerns about people in the caravan. “I think the issue of, where I have spoken about the caravan, is what is the condition in those countries that they are leaving,” Bishop Thomas Daly said. Daly said he thinks we need to address the systemic issues of the countries the immigrants are coming from. In addition to the debate over Trump’s authority to declare that children born in the U.S. aren’t citizens, a separate question is whether Congress could pass a law to that effect, or whether only a constitutional amendment could accomplish Trump’s apparent aim of denying citizenship to U.S.-born children of those here illegally. Republicans in Congress continue to introduce bills to end birthright citizenship, including legislation this session from conservative GOP Rep. Steve King of Iowa who has aligned himself with some nationalist political leaders abroad. King’s bill has almost 50 co-sponsors in the House. King’s legislation though would likely face a cool reception in the Senate, where there is no companion bill pending and only a handful of senators supported past efforts. Published: Oct. 30, 2018, 8 a.m. Updated: Oct. 31, 2018, 11:03 a.m.